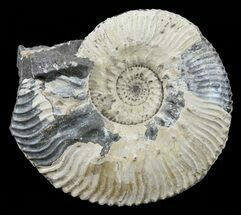 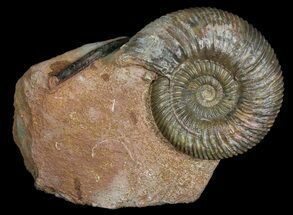 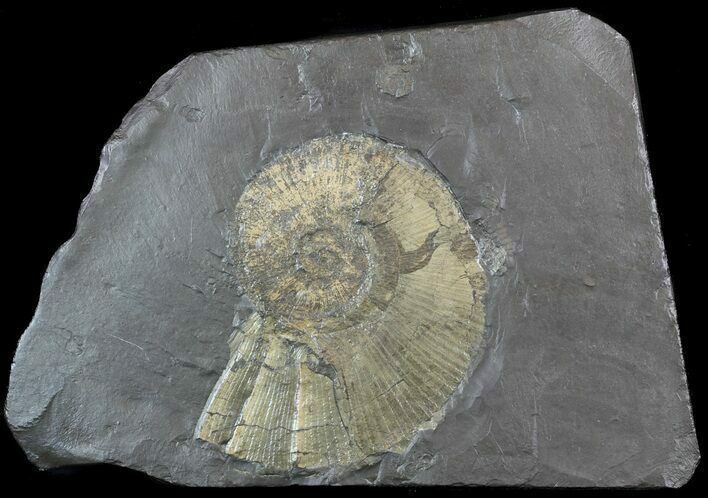 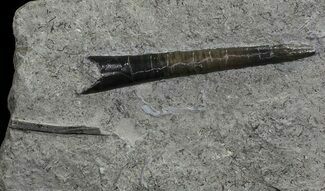 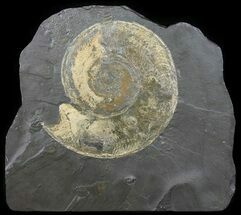 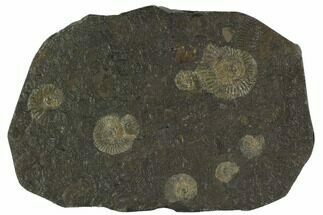 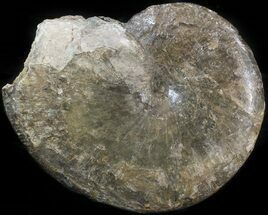 This is a large, 7.5" wide Harpoceras ammonite fossil from the from the Posidonia Shale of Germany. 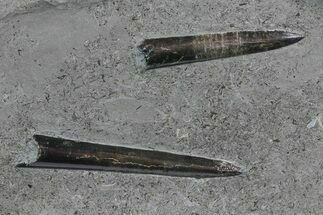 They have been compressed and are preserved on a black slate in a partially pyritized state. 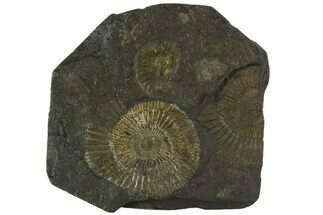 It comes with a display stand.